As marketers, we can all agree the journey a consumer takes from lead to customer today is much different than it was 10 years ago. However, email still plays a major role in that process. 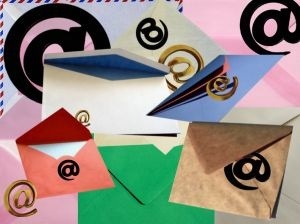 Almost a third of repeat customers are initiated by email. And, according Epsilon’s Email Trends and Benchmark report, open rates are increasing with the new benchmark number set at a 31.1 percent open rate. That’s an increase of nearly 4 percent from Q4 2012 to Q1 2013. Why are open rates going up? Mobile is one reason, according to Epsilon. Inbound marketing has also changed exactly what and how we’re emailing leads, prospects and customers. Instead of a giveaway or email that offers a free quote or consultation, educational offers like eBooks and guides keep leads engaged until they are ready to buy. Plus, providing leads with a flow of nurturing emails after a lead takes action on your site also boosts the chances relevant emails are being opened. At the heart of every good email program is segmentation. Your subscribers expect you to send only the most relevant information because they know you can. Email has been done this way for years now on the B2C side, but B2B companies still have a lot of catching up to do. Get started by creating these segmented lists, and then look for as many additional opportunities to segment your list into smaller and smaller groups. An email with 500 people might get a 15 to 20 percent click rate, whereas an email to 5,000 might only get 1.5 to 2 percent. That’s the same number of actions with fewer annoyed subscribers. What seems frequent to you (say twice a week or every other business day) might not be so frequent to the subscribers. Smaller, more targeted segmented lists allow you to send more messages in a shorter time period. To use the 500/5,000 comparison above, targeting the smaller list means you can contact the 4,500 other subscribers with content more relevant to their needs. Because your lists are getting smaller and your emails more frequent, simple one-offer emails are necessary both for relevance and your sanity. Customizing an email newsletter with multiple offers and actions for each targeted group decreases the effectiveness of the offers overall and wastes time. Plus, giving the user too many options doesn’t help move the user along on their journey. If you focus on the offer at hand, you’re a much better guide. Once a user converts on a single offer, you can continue to provide the user information of interest to him or her with lead nurturing emails. But rather than just hammering leads with offer after offer, tell them a story. Your lead nurturing workflow should have a first, second and third act (top, middle and bottom of the funnel) and should be just as creative and engaging as the content that started the workflow in the first place. Now there’s one thing we all know about any journey: It’s nice if you have a shortcut. Whether it’s a line in a lead nurturing email, an image in a footer or a call-to-action on a linked website page, you should always give the subscriber a chance to take the final step in the journey from lead to customer. Without it, you could miss a valuable opportunity to convert a lead when he or she is ready. How do you guide your leads through the buyer journey? Share your tips in the comments. Dan Stasiewski is Technology Director at Kuno. When he's not talking about marketing data and trends, he's probably in a movie theater... or randomly breaking into song. You can connect with Dan via Twitter, LinkedIn or Google Plus.